Legend of The Golden Monkey is a video slot game from Yggdrasil that tells the story of a brave and notorious monkey. You have to help him keep its treasures and protect its tribe so you can win some cash too. The design of the game is really nice and the sound effects only complement the theme. Legend of The Golden Monkey is packed with special symbols and features. There are 2 wild symbols, Sticky Wilds and Count Down Wilds. Then we have a random feature Golden Monkey. The monkey will appear from the bottom and it will change one symbol into another so you could land a certain win. 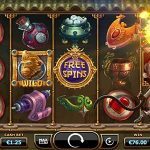 The treasure chest is a symbol that appears on the fifth reel and every time it does it will award you with cash prize during the base game, and 2 extra spins during the free spins round. 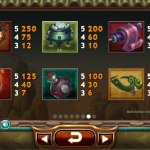 The free spins round is activated by landing 3 or more scatter symbols. You can choose between 3 free spins modes, Incremental Wilds, Stacked Wilds and Starting Wilds. We just hope you have a chance to try all 3 modes and see for yourself which one works the best for you. 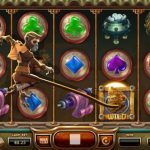 Legend of The Golden Monkey is a very powerful video slot game. Yggdrasil is a software provider that comes up with slots that are definitely worth the try. They have received many awards for creating innovative games and this one is just another example of how good they really are. There are plenty of features in this game so you will never feel bored and you will always have a feeling that you are playing a different game thanks to its diversity. We highly advise you to give this game a chance and we are sure you will keep coming back for more. For another great engaging slot you should consider playing Jungle Books a 5 reel slot by Yggdrasil.